“End war, end racism, end poverty, end abortion, end euthanasia, end the death penalty”—this exhortation permeated Consistent Life Ethic’s annual conference last weekend in Philadelphia. CLE is a growing movement with well-known supporters like Martin Sheen, Dorothy Cotton, and activist Shane Claiborne, who was also a guest speaker. And what is that message? As Carr described it, the Consistent Life Ethic regards life at every stage as deserving of respect and protection. Therefore it brings together people who may have different pro-life concerns. Abortion and euthanasia must be resisted, he said, because violence is a source of social problems, not a solution to them. CLE seeks to build bridges at a time where America is polarized racially and politically. Carr posited that the Consistent Life Ethic was introduced in Deuteronomy, when the Lord instructed the Israelites, who had just escaped slavery in Egypt, to choose life. (Deut. 30:19: I have set before you life and death, blessings and curses. Choose life so that your children may live.) CLE began as the Seamless Garment Network in the early 1970s. It has since changed its name because, as Carr explained, in contrast to the older view, moral issues are not woven into the same garment to be given equal weight. What’s more, the garment is not seamless. CLE does consider life-and-death matters as being the most important. First and foremost is defending preborn children in the womb. But protecting life doesn’t end at birth. Carr raised concerns over the nation being divided and the tremendous mistrust that exists between blacks and whites. Political factions have become unprecedentedly contentious. Studies show people are more likely to marry someone of a different religion than a different political party. Carr encouraged prolifers to embrace the Consistent Life Ethic and offer an example of unity. 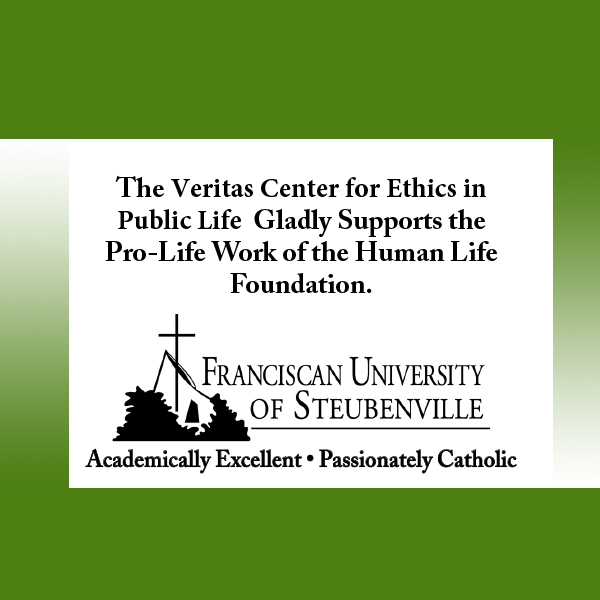 Prolifers have two extreme options, he said: identify as conservatives, who put their central focus on market forces, or identify with progressives, who emphasize lifestyle choices. Neither party has successfully made room for the vulnerable and the poor. Carr proceeded to discuss how to build bridges and foster unity. Prolifers ought to be careful not to come across as grim do-gooders, or angry advocates, but instead show people how they can make a difference: engage and persuade, rather than judge and condemn. Empathy is more important than ideology. CLE advocates must frame the debate, form the questions, and make the connections. For instance, by focusing on what abortion actually is, prolifers win. But when focusing on who decides, pro-abortionists prevail. Carr suggested connecting with people’s faith in order to persuade them, since defending life requires a measure of selflessness and sacrifice. Black Lives Matter, he said, can be considered a consistent life issue because it addresses black lives that have been lost because of police brutality. While many states have abandoned the death penalty, Carr conceded that he did not anticipate a sweeping federal abolishment. Similarly, CLE may never achieve making abortion illegal. But the goal is to make both unthinkable. Rather than being a group for the “politically homeless,” who can’t see themselves belonging to either party, Carr wants CLE to work toward establishing “dignity caucuses” in both parties. The consistent life ethic is foundational to a healthy society, and therefore does not belong to one party. CLE is for the conservative and the progressive, the whole-life believer, the faithful, and the radical. Carr admonished CLE advocates not to confuse different tactics with different principles, which causes division. When asked to elaborate, considering anti-abortionists’ support for repealing the Affordable Care Act while Consistent Life advocates do not, Carr warned against buying into simple explanations of the issue. He pointed out that it was never clear from Congress that any proposed repeal, or even “skinny repeal”—or modification of “Obamacare”—would completely defund Planned Parenthood. Instead, this was an opportunity for both sides to specify what they were fighting for. CLE does not promote Planned Parenthood funding, but it also does not promote stripping indigent families of the health care they need. Carr clarified that CLE is not asking those with single objectives, such as antiabortion, to pick up all the causes of CLE—a common criticism of the movement. But Consistent Life Ethic challenges conservatives to be consistent and stand up for the poor and immigrants; and it challenges liberals to be consistent and protect the preborn. He also advised that religious people engaging in policy should be careful that they are not being used. As an example, he mentioned photos he has seen where religious leaders placed extended hands on President Trump to pray for him— these leaders should also be challenging him, he said. For more, see the Symposium “Whole Life v. ProLife?” in the upcoming Summer 2017 issue of the Human Life Review. 460 people have visited this page. 1 have visited this page today. Great coverage of a great talk. One clarification, it’s definitely not true that all Consistent Life advocates support keeping the ACA in its present form, especially given the claims that it directly or indirectly funds abortion. What I think we do all agree on is ensuring that those in most need of health care don’t have it taken away by any reform that might take place (which some of the repeal proposals on the table would do). The most moving part of Carr’s presentation was his description of what happened to some specific young victims of abortion and war. Really served as a reminder that we stand for and with all of them. Warmed-over “Seamless Garment,” which was never anything but a rationalization for Catholics to keep voting Democrat. In 1980, John Carr came to the bishops’ conference straight from the pro-abortion Carter White House. Not much has changed.